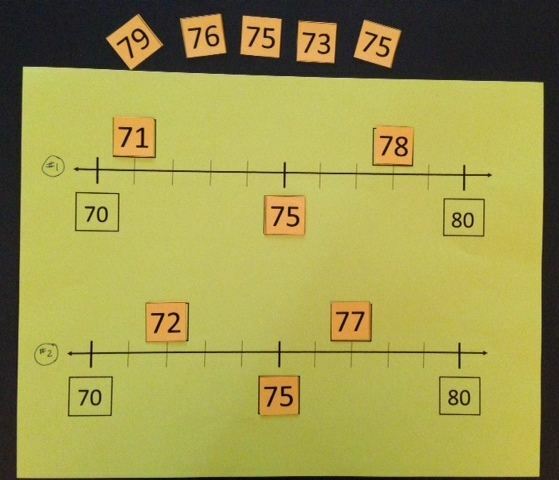 You may find that just because a student can count sequentially from 0-100 or higher (either orally or in writing) doesn’t mean that they have number sense. This also includes concepts such as greater or less than. Placing a number on a number line is more effective and efficient towards gaining number sense than using an alligator to decide which one he is eating. 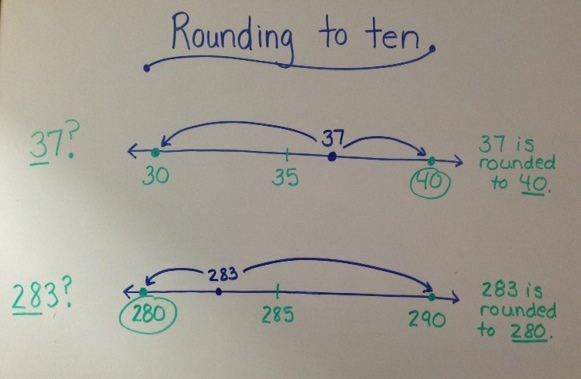 When using a number line, the “arrows” at the end automatically show the less than and greater than signs. In KG and 2nd grades, you can build this number sense by having students place numbers on number lines during your “calendar” daily math time. 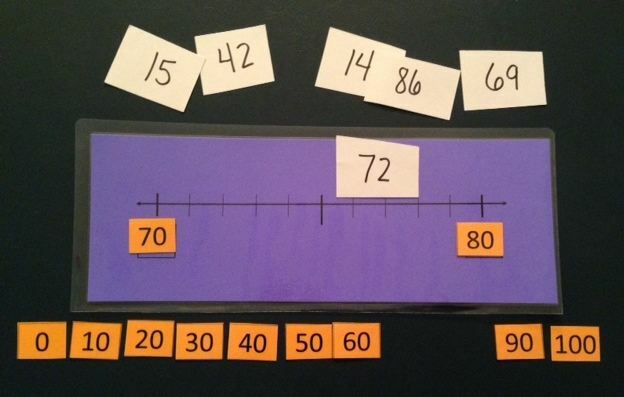 Show a number line section and how it relates to the other numbers around it. I can see that 17 comes between 10 and 20, and is greater than 15 or 16, but less than 20. 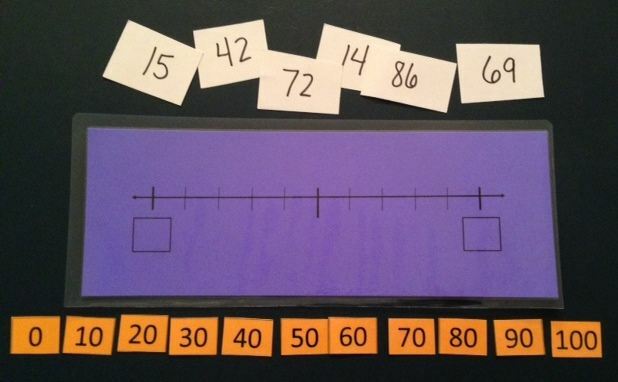 In 1st and 2nd grade, use a 100 chart (which is essentially a squished up number line) to locate numbers. If locating 23, you can see it is 3 away from 20 and 7 away from the next ten (which is 30). This also works toward helping students learn their number bonds of 10 – in the above case 3 and 7 are number bonds of 10. In 1st and 2nd grade, use a number line and 100 chart to locate numbers and prove a number is less than or greater than another number. 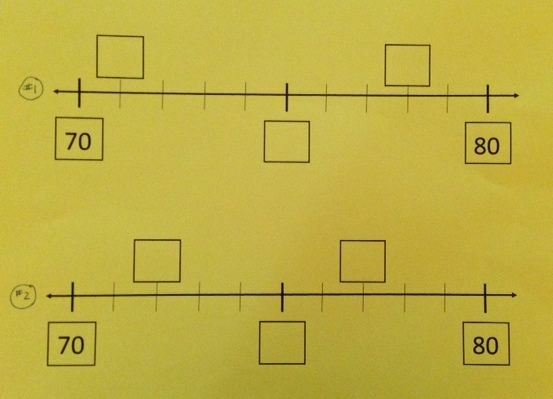 After students are adept at locating and placing numbers on the number line, they should be noting that the mid-point on number lines involve the use of the digit 5. For example: 15 is half way between 10 and 20; 45 is half way between 40 and 50; 150 is half way between 100 and 200; .15 is half way between .10 and .20. 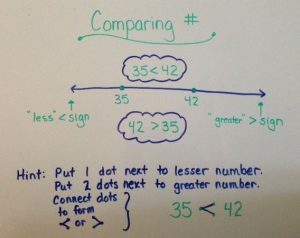 I can locate 37 on a number line and note that it comes between the benchmark tens of 30 and 40. I know that 35 is half-way between 30 and 40, I know that 37 is more than 35 but less than 40, I know that 37 is 7 away from 30 and 3 away from 40. Therefore, I know that 37 is closer to 40 — so 37 is rounded to 40. Here are some examples of how to concretely and pictorially practice this important skill. The above activity is free here. You will get the large blank number lines plus benchmark numbers to fit any needs (less than 100, 100-1000, and decimals). You will need to create your own target numbers (white cards). 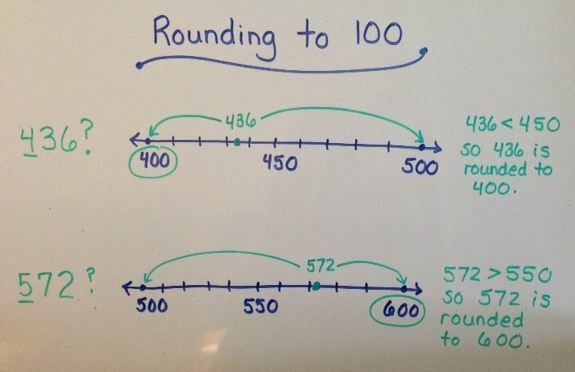 The Rounding Charts (pictured at the beginning of this post) are available free. I have included one for each set of 100. (0-100, 100-200, 200-300, on up to 900-1000). Two rounding games for rounding decimals are included, free. They are appropriate for 4th – 6th grades: Rounding Round Up Game and Rounding Match. 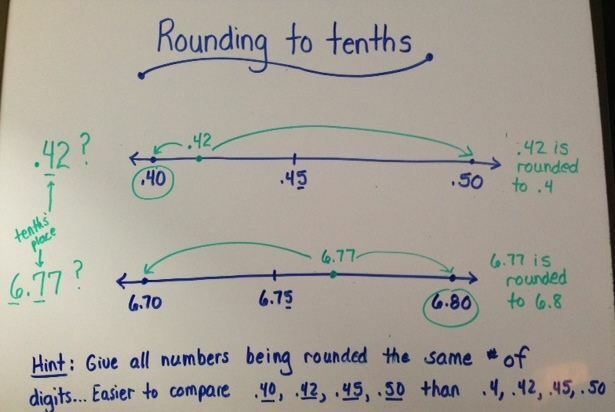 A blank one-page template of open number lines for rounding is also included free here. Cindy, do you have something specific for rounding to the nearest 25 cents on a number line? I still have one student who not only recognizes her struggle, but is asking for additional practice. I have emailed you a photo of something to try. Basically, use an open #line, show the end benchmarks (whole dollar) and the mid point (showing 50 cents). Next step, show the points to represent 25 cents and 75 cents. Determine between which two amounts the target number belongs – and which of those points is it closest to.